October is National Domestic Violence Awareness month and now there is a new way in Colorado to help victims of domestic violence regain confidence, dignity, and their smile by simply whitening your own smile. I am the only dentist in Colorado—and one of only 34 dentists in the country—participating in the American Academy of Cosmetic Dentistry’s Give Back a Smile program. Nearly 15% of women and 4% of men have been injured as a result of this type of violence. As participating members of the Give Back a Smile program, at Lafayette Complete Family and Aesthetic Dentistry we offer whitening treatments for $150 with that entire fee being donated back to the Give Back a Smile program. My team and I donate our time and talent and Hereaus-Kulzer donates the whitening products for this program. 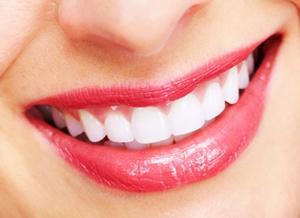 In one month our office raised $1500 through existing patients’ whitening treatments for Give Back a Smile. We’ve seen the power of the program and now we’d like to offer the whitening treatments to any of our patients who want not only a brighter smile, but also to help victims of domestic or sexual violence. Give Back a Smile is a win-win option. You get a whiter, brighter smile and you’re also helping a survivor of domestic or sexual violence regain their dignity and confidence as well as their smile. So, if you’re thinking of whitening your smile, please consider participating in our Give Back a Smile program at Lafayette Family Dentistry. You’ll brighten not only your own smile but also the smile of a domestic or sexual abuse victim. And that’s definitely worth smiling about.